Friday night’s severe thunderstorm knocked out power for thousands, bringing down trees and even ripped out a trampoline on the east side. 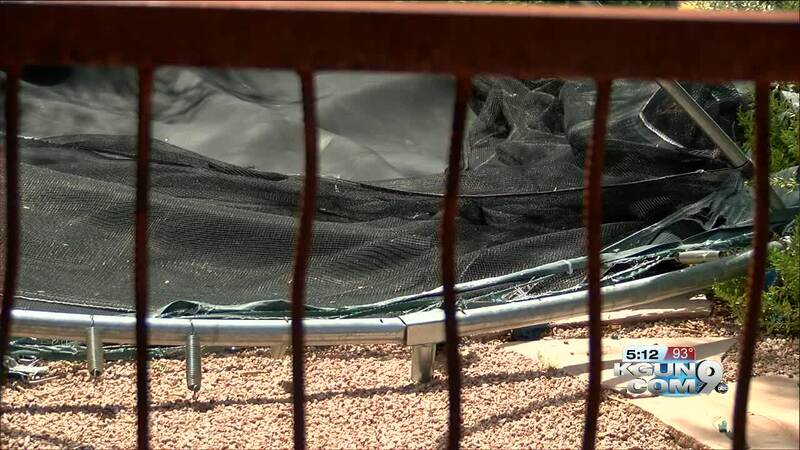 The storm came through a neighborhood on Tanque Verde Loop and Speedway so fast and intensely, it caused Karen Folkerts' trampoline to lift from its stakes, blow through two trees, fly across the street and land in her neighbor’s backyard. She tells KGUN9 she’s grateful nobody was hurt, and that it didn’t end up in somebody’s house. 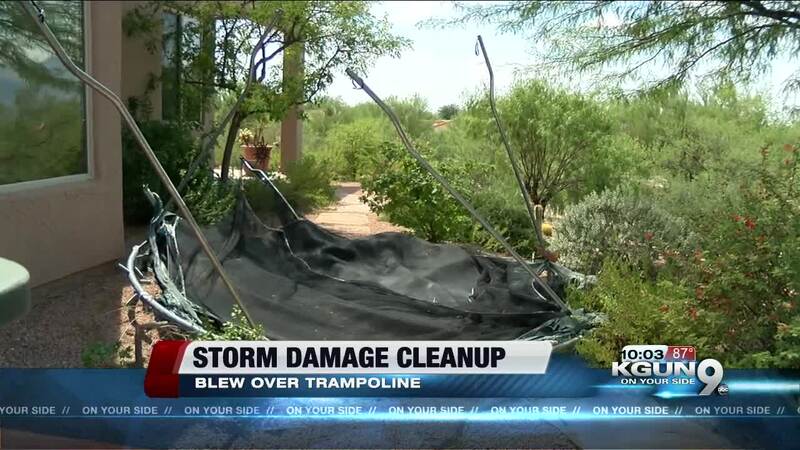 Amazingly, her family didn't hear the trampoline get blown away. Residents in the area spent Saturday cleaning up fallen branches and downed trees.